Spending time with kids all day may be your specialty and what got you into the child care business in the first place, but all kids come with families you need to maintain relationships with too. Keeping your families happy both helps things run smoothly and is great marketing. A happy parent is more likely to spread the word about your program than one who doesn’t believe they can communicate with you or feels disconnected from the community. Here are 10 tips to get you started on keeping the lines of communication between you and your families open, and making sure everyone enjoys being a part of your center. 1. Talk to the parents! Getting to know them and showing you care builds trust. Maintain an open-door policy so they’re comfortable coming to see you and the teachers, and check in with them regularly about their children and their family life in general. If they see that you care and that they can rely on you, they’ll have more faith in you and your program, and be happier sending their kids there. 2. Listen to them. If a parent tells you something or brings up an issue at home, it’s likely for a reason. 3. Engage them in at-home learning. You can give children activities they can work on at home with their parents, or direct parents to resources that can help with development and skills. 4. Engage them in in-class learning—invite them directly into the classroom, if they have the time and are interested. Have them help out with day-to-day activities, or let them show the class a special skill, like playing an instrument or singing. 5. Invite them to events and activities for both their child’s classroom and the center at large. There, they can meet other families and develop a sense of community. 6. Involve parents in center decisions. 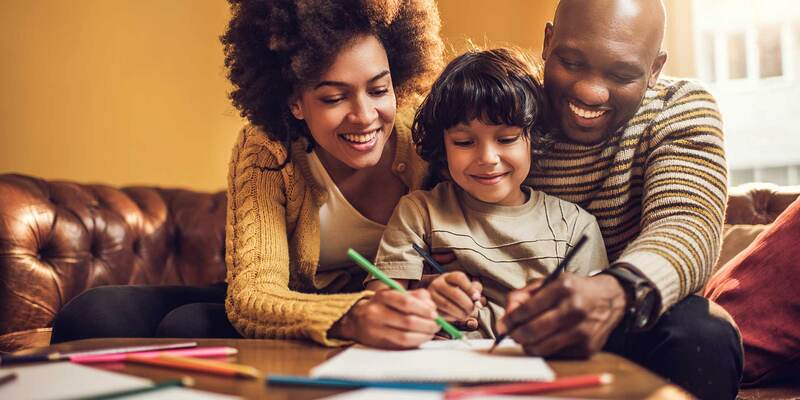 Inviting them to help you problem-solve both provides you with a wider variety of ideas and solutions, and lets families have voices that matter and make a lasting impact. 7. Keep them updated on their children’s daily activities. Journals may seem like the simplest option, but technology is also a great place to start. Parent engagement apps allow you and your staff to post pictures and updates throughout the day. Not only might this provide more information than you’d be able to tell parents during pickup, it can help them guide after-school conversations with their kids too. 8. Be prepared to communicate across cultures. If parents exclusively speak a different language, find someone to translate handouts and conversations so you can still communicate everything you need to. Or, if they are more comfortable emailing than talking face-to-face or on the phone, give them that option. 9. Know how to effectively manage conflict if it arises. 10. Thank parents for their involvement in the community, whether they volunteer in the classroom or work on skills with their kids at home. Recognizing their willingness to help out—in any way they can—will unite you both around your common interest: their kids! Procare support was quick and effective in getting me back online for customer use.